The photo below is another beautiful and attractive display that I saw in Niyog niyogan festival. 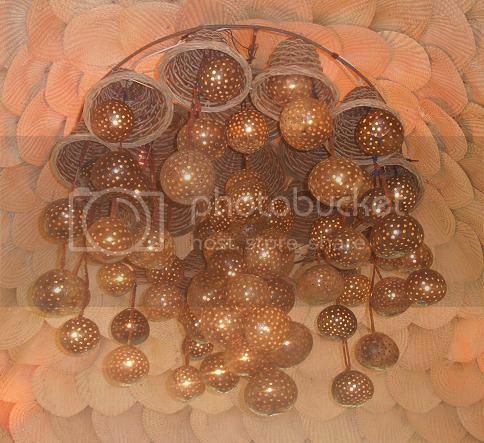 The kind of chandelier is made of the coconut shell and just fitted with holes. This is very attractive to the people especially when the saleslady opened the lights. Anyway, the coconut shell chandelier is surrounded by the native fan and the native fan is made of buri.